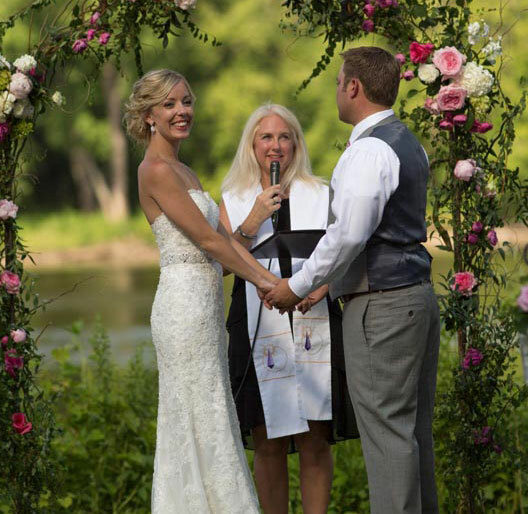 Officiant Services are offered for all types of ceremonies, including weddings, baptisms, funerals, and others. 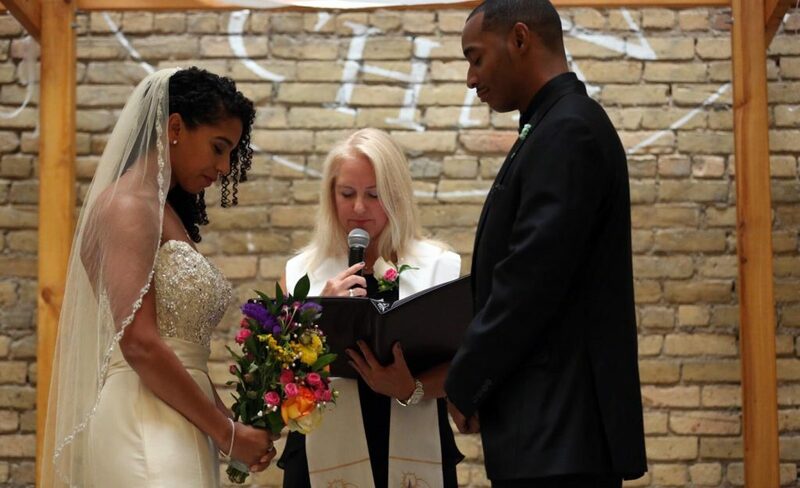 Michele is an ordained minister and officiates at sacred ceremonies such as weddings, funerals, and baptisms. Her ordination is through an ecumenical tradition that honors all faith paths called the Alliance of Divine Love. Her training included a year long course in spiritual direction and non denominational ceremonies of all types. Offering customized services, Michele will meet with interested parties at no charge for an initial consultation. Through facilitating a discussion with clients about their vision, thoughts and preferences, they create a draft of their ceremony. Michele also has a lengthy list of text and ideas she will share if desired. Ceremonies can be performed in public spaces, private homes or a church of her clients choosing. $300 per wedding, $350 for wedding and rehearsal, and $400 for wedding, rehearsal and premarital counseling. As you may know, if a couple chooses to do premarital counseling the state gives you a discount on their marriage license. She has been certified in an online questionnaire and reporting process called “Prepare and Enrich.” If you are interested in learning more about this opportunity, please contact her. Local wedding charge plus travel fees. Schedule a consult for more information.